For roof safety, experts recommend that homeowners should install Leafshield Gutter Guards. Suburbs such as Richmond, Windsor, Londonderry, Kurrajong, and Wiseman’s Ferry have trees like native flora and other leafy trees. In summer winds blow hard causing trees to shed leaves and pine needles. Leaves and pine needles drop on the roofs of the houses blocking the gutters. As a result homeowners have to get on the roofs to get the gutters cleaned to allow the collection and flow of water again. 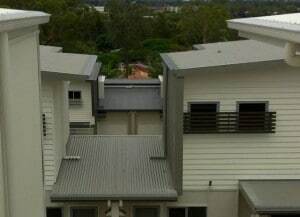 By installing Leafshield gutter guards in Hawkesbury these problems can be resolved. In Hawkesbury, gutters usually get blocked because of leaves, insects, birds, and debris in summer. This causes further problems and in worst cases, the non-accumulation of water in the gutters ends up damaging the roof costing thousands of dollars to homeowners because they have to get the roof repaired or replaced. Leafshield gutter guards are designed to cover gutters so they remain open throughout the year and don’t get blocked. If you are from Hawkesbury or its suburbs, there is a good chance that you have the same gutter-related problems. If so, you may try out Leafshield gutter guards. These gutter guards are ideal for gutters that get clogged because of leaves, pine needles, pests and debris. Leafshield experts recommend buying fire rated gutter guard meshes in bush fire zones and where councils require this. If you are planning on buying a quality gutter guard, get in touch with Leafshield today. GUTTER GUARDS ARE VERY ESSENTIAL TO AVOID LEAF CLOGGING IN THE GUTTERS. THANK YOU FOR SHARING THIS POST!